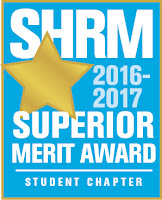 The Society for Human Resource Management (SHRM) has awarded a 2016-2017 Superior Merit Award designation to the University of Illinois Springfield SHRM student chapter for providing superior growth and development opportunities to its student chapter members. Of the 327 student chapters from across the United States, UIS was one of 149 winners. Recently, the UIS SHRM Chapter opened its speaker series events to the entire UIS community, including both UIS students and faculty, in order to learn, discuss, and network with professionals in Human Resources. The chapter also coordinated tours of businesses and organizations in Springfield to help students better understand the field. “Students who are interested in finding and preparing for their future career had the opportunity to see in person how people really work in an organization in term of human resource management perspective,” said UIS student Chapter President Adella Nguyen. The UIS SHRM chapter has also been working to improve its communication among chapter members and with other UIS students through social media, forums and cell phone applications. 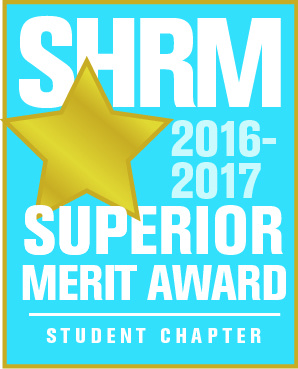 For more information on the UIS SHRM chapter, visit their website, UIS Connection or follow them on Facebook or Twitter. Questions may be directed to advisers Donna Rogers at droge1@uis.edu or Ashley Miller at Ashley.Miller@hshs.org.